As many different coffee brands are now offering their coffees in the K-Cup format, it’s even easier to have fresh coffee in a variety of styles. Conventional coffee is one of the more treated crops, thus it’s important for coffee drinkers to consider what goes into their beverage. 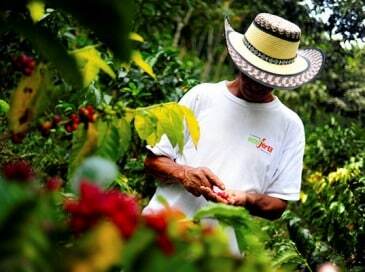 Pesticides, fungicides, and herbicides all make up some components of a coffee farmers tools. However, organic coffee is slightly different as the labeling means that the coffee bean was grown with human consumption concerns in mind. Organic coffee producers still treat their coffee beans to fend off pests, but it’s done so without artificial and potentially harmful substances. The organic rainforest blend coming in on swift winds from San Francisco Bay Coffee represents a tasteful mixture of medium roasted Arabica coffee beans. The lush taste here is thanks to enriched citrus notes. This is a certified organic coffee produced in Guatemala, Colombia, Mexico, and Indonesia. 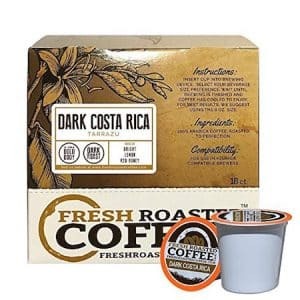 Made from carefully selected beans and sealed fresh in K-cups, to provide the exclusive quality taste. Those looking for an environmentally sound way to brew with the Keurig will find solace in the fact that each cup is produced using plant-based renewable resources. This is because the pods themselves are made of wood pulp lidding, mesh coffee filter, and corn ring, which makes them absolutely environmentally friendly and biodegradable. 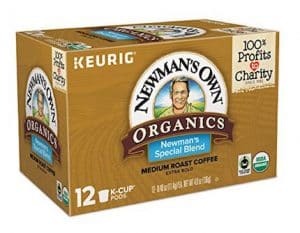 Newman’s Own Special Blend is organic, fair-trade certified coffee that provides a strong taste profile with the ease of the K-cup. In addition, this freshly roasted coffee has an amazing, pure smell that will take your favorite daily routine to a higher level. The coffee itself is made up of a composition of medium-roasted Central American coffees and darker-roasted Indonesian beans. Newman’s Own is a great company to support as well since 100% of their profits go to charity. If you’re looking for a guilt-free way to purchase coffee then this is a great addition to your brewing. This coffee has won merits for its environmentally friendly practices. 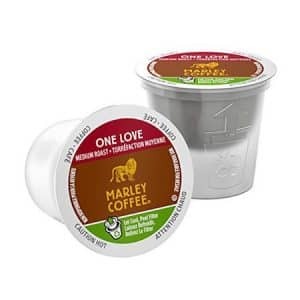 These make the Marley Coffee One Love brand a coffee company based on organic, sustainable, and ethical production. 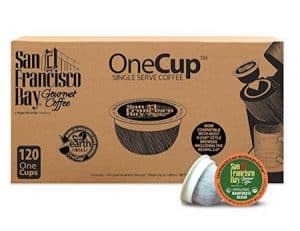 One Love K-Cups fill a gap in the market with a single source medium roasted coffee produced using 100% Ethiopia Yirgacheffe coffee beans. One Love is balanced, smooth, and with floral tastes. Cupping notes would probably be admiringly written to describe the combination of brown sugar, vanilla, and exotic spices. Just one warming sip and you’ll understand why so many coffee lovers feel strongly about this K-cup and its brand. Cafe Don Pablo has been working tirelessly for some time now, to deliver a bold and natural coffee experience that lends itself to the lands it was created in. Providing low acidity and deep, rich flavor of milk chocolate with extraordinary notes of cocoa, caramel, and honey, Don Pablo Subtle Earth K-Cups are made of high quality, 100% Arabica coffee. 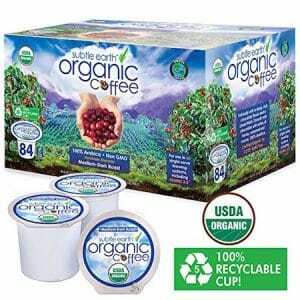 Produced with no artificial substances, and grown at a high altitude where pests won’t disturb the crop, these K-Cups are certified organic by the CCOF. What makes Don Pablo coffee famous is the mentioned natural flavor character, based on the caramelization of the natural sugars, that provides its delightful aftertaste. Cafe Bustelo makes simple yet refined coffee that is of a subtlely pure quality. These K-cups now allow anyone to easily brew an authentic full-bodied cafecito (a drink originated in Cuba) in under a minute. Crafted from 100% pure coffee beans, you can bet that they are of high-quality organic farming. 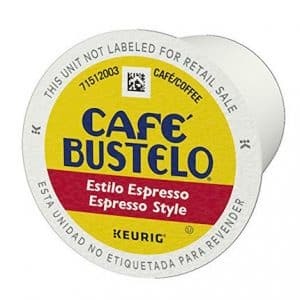 If making an espresso-blend drink is your thing, Cafe Bustelo Espresso Style K-cup is a rich, full-bodied flavor that stands up to milk and sugar. If you’re getting bored of dull black coffee we can’t recommend this enough. Oakland Coffee Works Cerro De Oro is a fantastic single-origin coffee that is hand-picked by farmers in the agriculturally rich Atitlan region of Guatemala. The rich flavor is a medium-dark roast with a balanced, nutty flavor. Oakland Coffee Works has proven that by simply creating honest coffee you can help change the world. Through their charitable organization, Fueled By Love, Oakland Coffee Works is close to coffee-growing communities in Central and South America to build educational centers, emergency rooms, and water infrastructures in Peru. Try this wonderful coffee today and feel good about giving back to the people whose land created it. 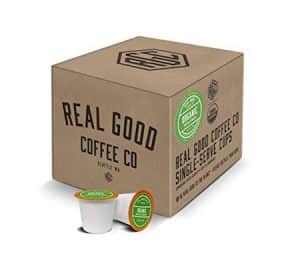 Real Good Coffee Co. brings USDA Certified Organic K Cups to the masses. It’s a dark roast that’s bold and comes from a single origin. The Sumatra beans bring unique notes of bell pepper, cedar, and a lemony finish. Real Good Coffee Co prides themselves on creating where other competitors are lacking. Think of a taste similar to Green Mountain or Pike Place roasts. 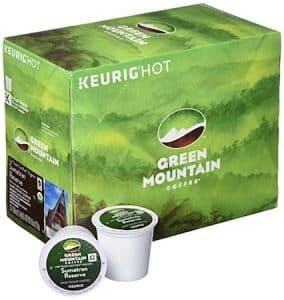 These K-cups are made of 100% recyclable materials, which makes us all feel better about the practice of brewing with a Keurig. 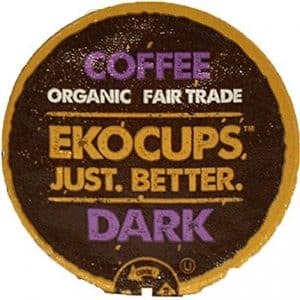 EKOCUPS, as the name implies, is a fair-trade coffee with caramel apple and dark chocolate aftertaste that comes from organic farming practices. EKOCUPS organic dark roast also earns a spot on our list because the K-cup is packed with 30% more coffee (30 grams to be exact) than their competitors. The cups use cool-peel-recycle technology, which allows the K-cups to be recyclable once the lid and filter are removed after brewing. Born in the mountains of Indonesia, Green Mountain Coffee Sumatran Reserve is an exotic brew that delivers the character of deliciously dark roast with organic farming standards. If you’ve been searching for a full-bodied coffee that still fits the organic guidelines then this is an option that’s available in relative mass and won’t break the bank. Grown over 12,000 feet in elevation, it’s likely helpful in discouraging pests and promoting a proper fruiting of the coffee. The K-cup format has helped seal in the freshness and you’ll be left thinking you’re away on a vacation to foreign lands. It’s actually just a vacation from your regular instant coffee! Bright. Lemon. Red Honey. If any of those cupping notes sound like your preference, perhaps you’ll enjoy the Dark Costa Rica Tarrazu K-cup. Grown in the rugged mountains of the “Land of Saints” in Southeastern Costa Rica at over 1200 meters, this is a coffee that lends heavily to those ins search of intense flavor. Costa Rican coffees are often prized for their high notes and their smooth body. The fresh organic coffee process begins at the source. We hope you’ll find a coffee here that is considerate of its origin and lends itself to a great flavor profile and quality. All of these components help us to deliver consistent, exceptional coffee with true approachability. And if you need some extra brewing equipment to make that brew session that much better, feel free to peruse our gear.